The St. Ann's Allotment gardens go back to the 1830's and have hardly changed at all - they were there before most of Nottingham was even built. They were first set out as pleasure gardens and mostly used by the well-to-do, and although these sorts of gardens were quite common in other cities very few remain, in fact these allotments now 'represent the most extensive detached garden site in England.' They have been put on the Register of Parks and Gardens of Special Historic Interest in England by English Heritage at Grade 2*. Land including Hunger Hill, which had previously belonged to the Hospital of St. John and the Chantry of St. Mary, was granted by Edward VI to the Corporation of Nottingham in 1551. Revenue from this property was to be applied to the maintenance of the bridge across the River Trent. Hungerhill was first enclosed in 1604-05 when plots were let to thirty burgesses and their widows at a total rent of £ 15 per annum. The following year the rent was reduced to £ 13 per annum as the tenants complained of 'theyr losse thereby, both in respect of the chardge of fencinge and the deere lying in ytt' (Records). Staveley and Woods Plan of Nottingham (surveyed 1827-29, published 1830) and Sanderson's Map of Nottingham (1835) indicate concentrations of detached town gardens to the north, west and east of Nottingham, of which the most extensive group was situated at Hunger Hill. Comparison with Jackson's Map (surveyed 1851-61, published 1861) and Salmon's Map (1862) shows that while some sites were lost to development in the mid C 19, others such as Fish Pond Gardens south-west of Nottingham Castle survived into the late C 19. By the 1880s, however, the only significant concentration of gardens to survive was at Hungerhill (OS, 1886). Hungerhill continued as burgess parts or plots until 1842, although subdivision into gardens already seems to have taken place as by 1839 some 400 gardens were said to exist on Corporation land. 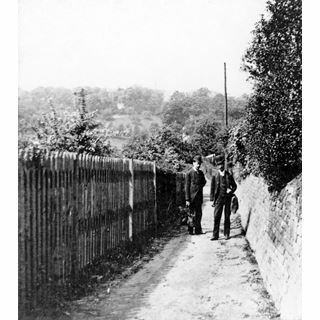 In 1840 a toll road, known initially as New Road, and subsequently as Coppice Road and today (2000) as Ransom Road, was laid out linking St. Ann's and Mapperley and further gardens were created at that time. William Howett (1844) noted the high rents demanded for the Hungerhill gardens in 1840, and in the early 1840s the Nottingham Independent Cottage Garden Society petitioned the Corporation for allotment gardens to ameliorate poverty and hardship (Gray). Land was made available to the Society at Hungerhill. In the mid and late C 19 gardens were laid out with boundary hedges or boarded fences, ornamental summerhouses which were frequently used as occasional residences, and glasshouses. In some instances the summerhouses comprised two storeys and resembled small cottages; the last surviving) two-storey structure was demolished c1995. The gardens were used for both productive and ornamental horticulture, and in 1869 the Revd. Samuel Reynolds Hole (1819-1904) described the extensive cultivation of roses for show both under glass and in the open at Hungerhill. The late C19 layout of the plots with summerhouses, glasshouses, fruit trees and internal paths enclosing geometrical- shaped flower beds is recorded on the 25inch OS (1881) and 10inch OS (1882). In the mid C19 land to the north-west of the Hungerhill gardens was acquired by the Nottingham architect T.C. 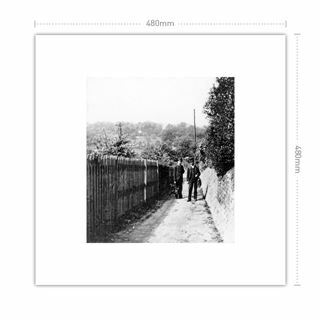 Hine and his brother, John, for the construction of a residential estate to be known as Alexandra Park. Due to financial difficulties this scheme did not proceed, but a number of substantial villas were built on Albert Road on plots formerly occupied as gardens. In the I880s the Corporation itself sought to develop parts of the Hungerhill gardens, using unemployed men to make roads and clear sites. This scheme met with strong opposition from the Independent Cottage Garden Society and had been dropped by 1900. The gardens have remained in cultivation throughout the C20, with a decline in activity in the Stonepit Coppice Gardens and the western areas of Hunger Hill Gardens in the late C20. The valley to the east and north-east of hunger Hill, which in the late C19 served as a rifle range, was laid out in the earl- C20 as Coppice Recreation Ground, while a valley to the west of Hunger Hill, formerly known as Trough Closes, was similarly developed as Sycamore Recreation Ground in 1909. The construction of associated bowling and putting greens entailed the loss of a small group of gardens adjoining Sycamore Road, which linked Hunger Hill Gardens to Gorseyclose Gardens. 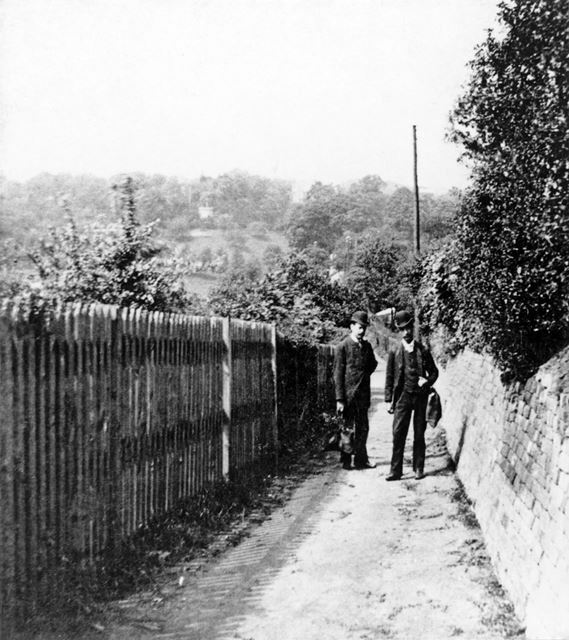 Gardens to the west of Woodborough Road and east of Mapperley Road, which in 1861 formed part of the Gorseyclose Gardens, had been lost to residential development by 1886 (OS). Today (2000), Hungerhill Gardens, Stonepit Coppice Gardens and Gorseyclose Gardens remain part of the Bridge Estate, property of the City Council providing revenue for the upkeep of the Trent Bridge. The survival rate for this type of site is extremely low, with most examples having disappeared under built development. Where they do survive, it is generally as allotment sites with hedges and buildings removed. In area, the group of sites at Nottingham represents the most extensive surviving detached town garden site in England. The construction of the rest of St Ann's actually began as early as 1750 when Charles Morley, Sheriff in 1737-8, manufactured brown earthenware very prosperously in a small factory in Beck Street, his speciality being his brown beer jugs (Beck Street lies off Bath Street prior the St Ann's Well Road roundabout). The construction of Saint Ann's, proper, began in early 1839 when the individual Clay fields, covering a relatively small area, were divided up into plots (Enclosures, and a general layout was proposed. 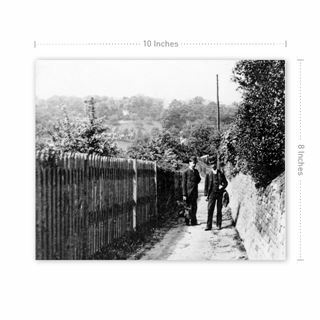 This included Corporation Oaks, a grand tree lined recreation walk leading from St Ann's Well Road to the top of Toad Hill, with large houses for doctors, solicitors, and factory owners, lined up on either side. The parochial glebe lands could not be built on without church permission, and these formed the relatively untouched Sycamore Park together with its woodland, Hungerhill gardens, and Gorsey Close gardens. 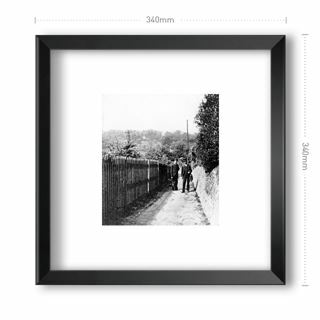 By 1861 a number of prominent roads had been completed, including St Ann's Well Road, Corporation Road, Hungerhill Road, Sycamore Road, and New Road. The longest being Great Alfred Street north, central, and south, linking Mansfield Road with Carlton Road. At the end of the construction period there were a total of 10,000 back to back terrace houses in Saint Ann's, which were mainly of a standard type intended for the lower paid working classes. was also a total of about 25 public houses, almost one on every corner of the street (each one catering for 400 local residents), including: Coachmakers Arms, The Oliver Cromwell, St. Ann's Well Inn, Westminster Abbey Hotel, and the Peverill, to name only a small number. These were supported by a number of beer off-licences. Trams and the railways arrived to serve the new development. Unfortunately, because of the construction of the London, and North-eastern urban railway through St. Ann's, its famous well, which gave the region its name, was lost. Before its demise in 1887, Nottingham Borough Council constructed a monumental structure over it, designed by the town planner, and surveyor Marriott Ogle Tarbotton, but this monument was broken up. By 1969 there were 10,000 houses in Saint Ann's with the majority being 100 years old. The area now looked impoverished, and the main Saint Ann's Well Road with its 650 shops, and twenty two public houses, looked run down, degraded, and many of the factories had since closed. St Ann's, like many other Victorian areas of Nottingham, was designated as a clearance area, and the 1970's St Ann's that remains today developed from the wholesale demolition of the victorian housing.